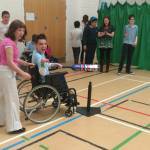 On 16th May, Southfields Academy in partnership with Linden Lodge hosted the first ever Central London Adapted Cricket Festival as part otf the Project Ability Programme. Sir Steve Redgrave visited the Southfields Academy to celebrate the huge success of the Sporting Promise programme, an initiative encouraging more young people to take part in PE and school sport. 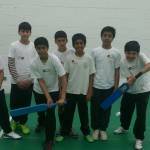 Southfields Cricket team proved too strong for the rest of the teams in a new Inclusive Cricket competition held at The Oval Cricket Ground last week.